Home Explore Optiv Insights Downloads Are you a Board Level Asset or Liability? Are you a Board Level Asset or Liability? Security leaders are being tapped to deliver materials to the board and in many cases, present to the board on a regular basis. 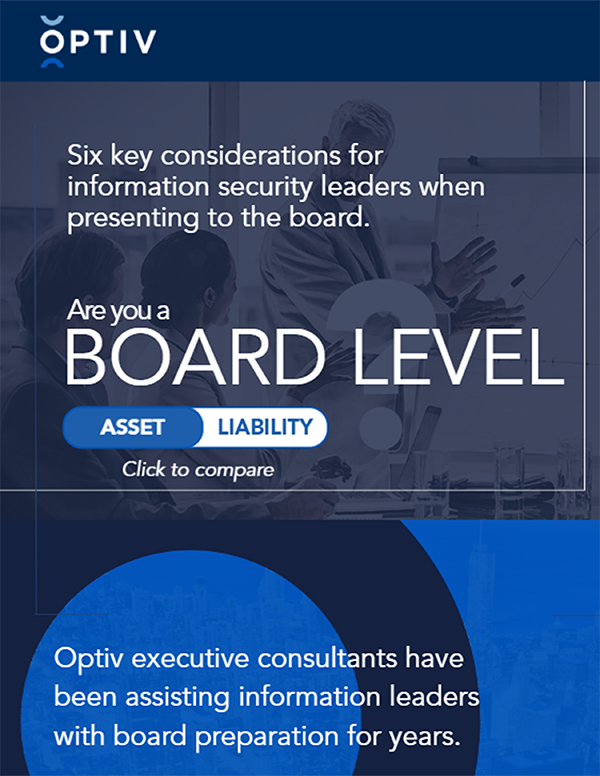 With the shift from the highly technical reporting to board room discussions, Optiv has been working with our CISO clients on board preparation. We break down the themes for success and trends that lead to trouble in the board room, and walk through our six considerations for presenting to the board.